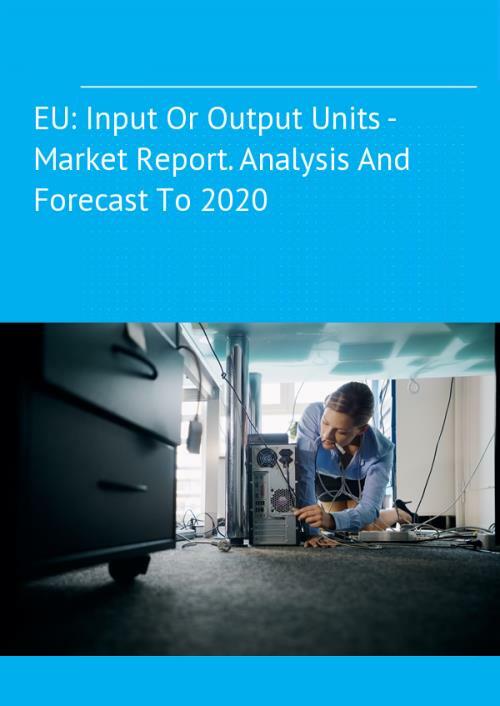 This report focuses on the EU input or output unit market, providing a comprehensive analysis and the most recent data on its market size and volume, EU trade, price dynamics, domestic production, and turnover in the industry. The market trends section reveals the main issues and uncertainties concerning the industry, while the medium-term outlook uncovers market prospects. The attractivity index (IB Index) summarizes the source of existing opportunities as they appear in this market, as well as an interpretation of the trade figures. Input or output units whether or not containing storage units in the same housing, computer mice, plotters and scanners, except for printers, monitors and keyboards.